- Gerald G. May, M.D. that our life had become unmanageable. Many of us have had the painful experience of having our weaknesses exposed and then being punished for those weaknesses. As a result, we’ve often developed a protective veneer of polite and subtle dishonesty. We usually don’t lie outright, we just don’t tell the truth about ourselves when we should. For us to admit that we were powerless over our addiction and that our life was unmanageable meant admitting defeat. And it was. We were defeated by our addictions whether we admitted it or not. Admitting a personal defeat is counter to everything most of us have been taught. Culturally, in very subtle ways, we are brought up to be people who are determined, self-sufficient and strong. But, in the revealing light of addiction there is one absolutely essential question that needs to be answered: Are you going to recognize and are you willing to admit that your addictions are more powerful than you are? For most of us, our upbringing instilled in us the instinct to try harder when we failed, and that we should never admit defeat, discouragement or weakness. This often turns into a stubbornness that can lead people with addictions into a continuous downward spiral of pride and failure and control. The more we’ve been determined to control ourselves, the more we failed. By refusing to admit our personal insufficiency, we pridefully puffed ourselves up and became determined to control ourselves better the next time. When we failed again, which was almost certain, we became all the more obsessed to control our life and the lives of others. Inevitably, the obsession to rule our life and the lives of others brought on more pride, which brought more failure, and addiction ruled all the more. Pride, failure and control are the building blocks of denial, which is the pride based bedrock of addiction. In denial and pride, our self–willed efforts to control our lives and others become one of our greatest liabilities. So, we have to be willing to admit that we have been defeated by our addictions if we are going to recover from them. As counterintuitive as it appears to be, when we admit our powerlessness it becomes possible for us to transcend our powerlessness because we become open to solutions that we could not see through the eyes of denial and pride. When we get honest about our powerlessness it becomes possible for us to find solutions to the problems that we could not solve on our own. It’s not like we become stronger; it’s more like we are infused with a strength that is made available to us when we get honest. The power does not come from us. It comes from outside of us but connects with us on the inside. With this outside power coming in to us we get lifted up, from the bottom up. As we admit our addictions and powerlessness, we become part of a movement of change that is bigger than our own efforts could ever be. We move into solution. The cycle of pride, failure and control gets interrupted. Failures are no longer as fatal as they once were. When honest about them, our failures can become a small step sideways and not the inevitable free fall to the bottom that they were before. We don’t need to make promises in our admissions and confessions. We just tell the truth about ourselves, the best we know how to do. We say it like it is. After all, we are only human. There is great dignity and freedom in being honestly human. We waste our recovery efforts when we forget our failures. Forgetting failure is a form of delusional self-centeredness. Forgetting separates us from the responsibility of our failures, as if they never happened, or they no longer exist, when in reality they do. When we forget our failures, when we compare ourselves favorably with the faults of others, when we look to find imaginary non-existent success for ourselves, or when we trade an honest spiritual relationship with God for cheap religious pretending, the most insidious kind of self-centeredness develops — self-righteousness. When we avoid the reality of how we have hurt others, we become piously religious, self-absorbed and self-satisfied, disconnected from the difficult world we have created for those around us and for ourselves. We create inside ourselves the exact Pharisee we so enjoy condemning in others. An essential part of recovery is to recognize and admit personal responsibility in relationships. We must be willing to acknowledge and admit to ourselves and to at least one other person how other people have been hurt by our selfish attitudes and actions. Recovery requires that we seek forgiveness, honestly. It demands we help those hurt by the way we have lived our lives. This part of our recovery work makes it possible for us to reconcile with others. And regardless of whether or not others are willing to reconcile with us, we are always responsible to forgive others. We must forgive so we can grow in our recovery. So, we recognize our selfishness and resentments the best we can. If we can’t do this fully, we admit it. We admit our doubts and shortcomings of faith and intention to God and another person. Then, we begin investing in the lives of others, working to help heal the world around us one person, one situation at a time. Doing this consistently builds a positive momentum that changes the way we view ourselves, and the way we relate with others. We then expand this momentum of growth and change to our families, our communities, our workplaces and our churches. God will build a new personality in us. We will become more mindful of loving others, honoring them as people who are created for the purpose of knowing God and His love. Today, it’s not just ourselves and our circumstances that we want to see changed and improved. We want to see other people healed and their circumstances improved as well. "Listen to your life. See it for the fathomless mystery that it is. 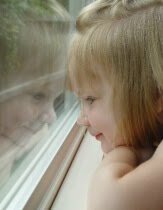 In the boredom and pain of it no less than in the excitement and gladness: touch, taste, smell your way to the holy and hidden heart of it because in the last analysis all moments are key moments, and life itself is grace." None of us ever meant to get addicted to anything. We didn’t ask for it, and we didn’t intend it. In the beginning, addiction was the last thing we ever thought would happen to us. But, nonetheless, we got addicted anyway. In the end, no matter how naive or innocent we might have been, we have had to confess that our addictions have been deeply rooted in our bad thinking and our lack of a real faith in God. We now know how a lack of authentic faith and bad thinking go hand in hand. Recovery became possible for us when we admitted our need and began to accept the help that God made available. Making this confession helped us hope for a better life than the one we had known in the past. We began to see that God had bigger and better plans for us than we did. Following His plan, both our addictions and our healing became a pathway. They became like stepping-stones to a revolutionary kind of personal transformation that we never could have envisioned when we first started our journey. And along the way, we receive much more than we ever could have expected or anticipated. We have been changed on the inside. We have learned things that no book could ever teach us. We have gained insights and had experiences that we could never get in any classroom or from any other person, either. There is a new presence and reality within us and it is more than our senses can identify, more than our physical bodies can contain and very, very much more than we can ever explain. We have God’s Spirit working inside of us and through us. The way we experience recovery is a unique and personalized gift from God. We receive it and experience it on an individual and personal basis. It is a redemption that is deeply intimate between God and us, together, just the two of us, connecting and being close. This is why none of us will ever have the exact same experience in recovery or with God. And while we all have our own intimate encounter with God, the recovery experience He gives is not ours to keep for ourselves. We must be willing to share it if we want to keep it long-term. And as we share our experience with others, we will discover that we have much more in common than we ever realized before. This is how God expands and multiplies the intimate life He has shared with us. Everything we say and do affects the lives of those around us in one way or another. Maybe big, maybe small, and maybe not even realized today, but our actions do solicit response, reaction and consequence — and not only for us, but for the whole world, beginning with those closest to us. Like it or not, good or bad, we impact this world. My sponsor and counselor drove this point home to me — the reality of my social and relational responsibilities. With their help, I could better see the hurtful impact my life had on others. I came face-to-face with my shortcomings which grew out from my self-centeredness. I had lived my life for myself, and other people had suffered because of it. Now in recovery, I am more honestly aware of my shortcomings. They illuminate my need for God, getting me in touch with my frustrated desire to experience life in a way only He can give me. I am seeing myself and the world differently. Even though life can be difficult, I view it with enthusiasm. I like this new life. It is a better life than I have ever known before. But as good as I feel, there remains a deep, nagging sense that I have unfinished business. Also, my counselors, sponsors, and mentors urge me to be cautious and thoughtful. They remind me over and over again that “my new life in Christ” will be short-lived if I forget or ignore how I have negatively impacted the lives of others. Thanks for your ongoing support of Operation Integrity. This is what is happening in our local and national efforts. · Our Southern California recovery and support fellowships to date have helped more than 1000 men and their families, including Clergy, lay church leaders, local political and community leaders, and every day people. · We are currently working with pastors in southern California, several across the US and Canada, one in Europe and one in Australia. · We are providing affordable recovery programs through our 45 Day Intensive & 90 Day Transformation programs, providing scholarships for those who cannot afford the cost of their recovery programs and counseling. · Our educational and family support network is bringing insight, understanding and empathy where there had been confusion, anger and resentment. · We are collaborating with local counselors and therapists, counseling centers and churches. 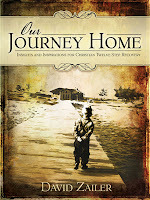 · Travel plans are in place for our Director, David Zailer, to travel to Sacramento, Fairmont WV, Portland, Colorado Springs, Oklahoma City, and Fort Worth to assist local OI fellowships and/or provide support to other Christ centered addiction recovery programs and sexual addiction recovery programs. · We are going back to West Virginia in October, where OI Director David Zailer will conduct interactive lectures providing education on addiction, and how Christ centered spirituality is an essential platform for healing. This will be a great time for Operation Integrity participants from the eastern US to meet and fellowship together. · Operation Integrity was highlighted in PureSex Radio podcasts and with Covenant Eyes and Healing for the Soul. · Our Director attended the annual conference of the Katharos Network in Houston. · Operation Integrity will be hosting the next Katharos Summit here in Orange County in 2014. · We are currently mentoring and coaching recovery and support groups in 8 cities in the US. · We are helping Pastors and Clergy in Ohio, West Virginia, North Carolina, Oklahoma, California, Michigan, Texas, Kentucky and Canada and we are enlarging the reach and success of our Recovery Program for Pastors. · Operation Integrity Daily is delivering inspirational devotionals to more than 3500 people a week. 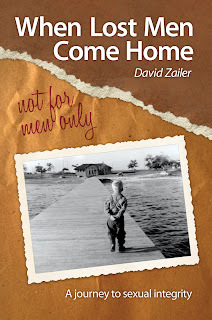 · Our books, Our Journey Home and When Lost Men Come Home, are speaking hope into many lives. 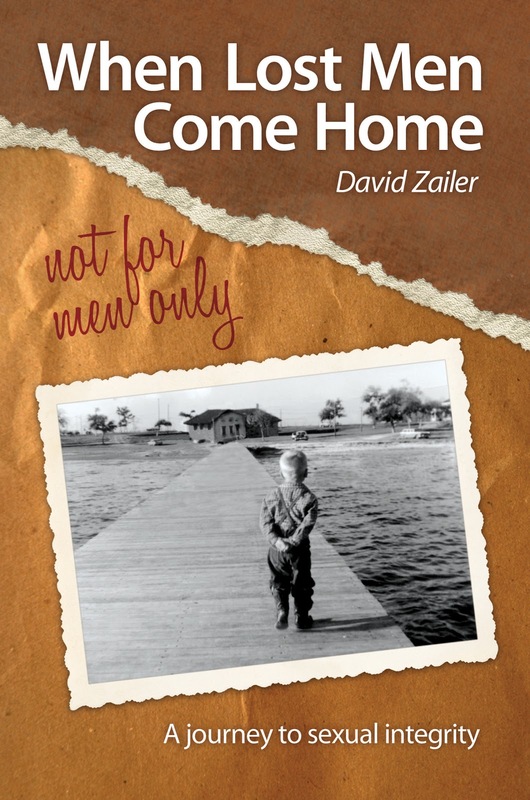 · We have donated 1300 copies of OUT JOURNEY HOME and 780 copies of WHEN LOST MEN COME HOME – not for men only to recovery programs and ministries in the US, Canada, Australia, the UK, Brazil and Mexico - donating more literature as funding becomes available. A personal note from David Zailer - God is leading an ambitious expansion of the Operation Integrity ministry. As we lean into the work God is laying out for us, I ask that you prayerfully and generously support Operation Integrity. There are immediate needs to fund scholarships for recovery programs and for printing costs as well as regular operations, travel and staff support. We offer you two convenient ways you can partner with us. 1. Visit us at www.operationintegrity.org to donate online. 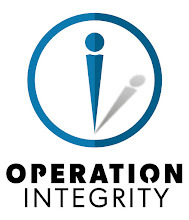 All donations and contributions made to Operation Integrity are tax deductible. Operation Integrity - Helping people recover from addiction, leading to radical life transformation.